A traditional Welsh cottage featuring original beams and plank doors situated in the peaceful village of Trawsfynydd in the heart of Snowdonia. Sleeps max. 4. This two bedroom 17th century cottage is simply but adequately furnished - an ideal retreat for a walking break any time of year. 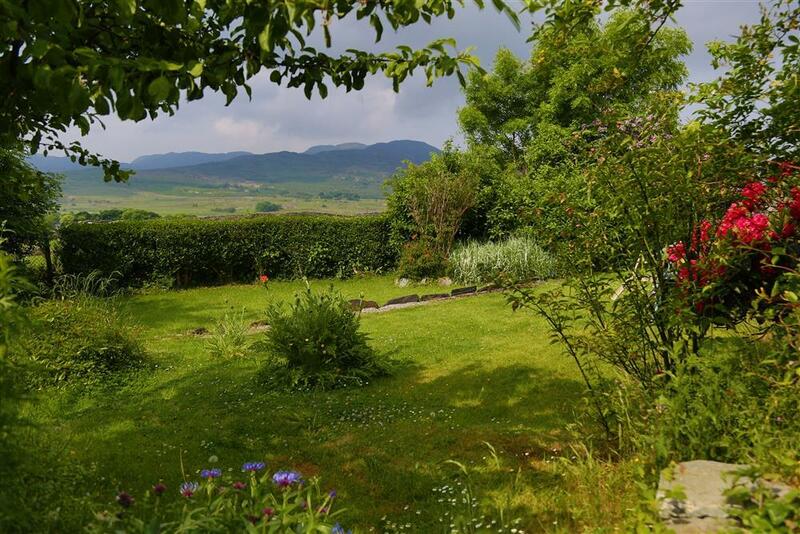 There is a brand new modern galley kitchen at the rear of the cottage with access to a slate patio and large garden with un interrupted views of the lake and mountains. The cottage is situated on a narrow lane in a quiet position in the village within walking distance to the village shop and off-licence, with two pubs within 2 miles serving good quality food. It is a perfect base for cyclists (fantastic off road cycling at Coed y Brenin - 10 mins drive), mountaineering, walking, and nature enthusiasts. It is within reach of several beaches and the market towns of Porthmadog (12 mls), Bala (18 mls) and Dolgellau (13 mls) and also the quarry underground tours, Zip World: Titan and Bounce Below at Blaenau Ffestiniog (9 mls) and new super Zip World: Velcocity ride at Bethesda (35 mls). Have a picnic by Trawsfynydd Lake (6 mins walk) famous for its trout and pedestrian bridge and also now boasts a fantastic 13km cycle route. Shops, off - licence and a pub serving good quality meals within easy walking distance. Small front garden and secure bicycle storage. 2 BEDROOMS: 1 bedroom with a double bed and 1 small room with bunk beds and velux window. Bed linen provided. Please bring your own towels and tea towels. LOUNGE/DINER: Flatscreen TV with Freeview, feature fireplace, electric radiator, dining table/chairs. KITCHEN with electric cooker, microwave, fridge. SHOWER ROOM: Small room with shower, hand wash basin and WC (on the ground floor). Recently refurbished in 2019 with new heating. 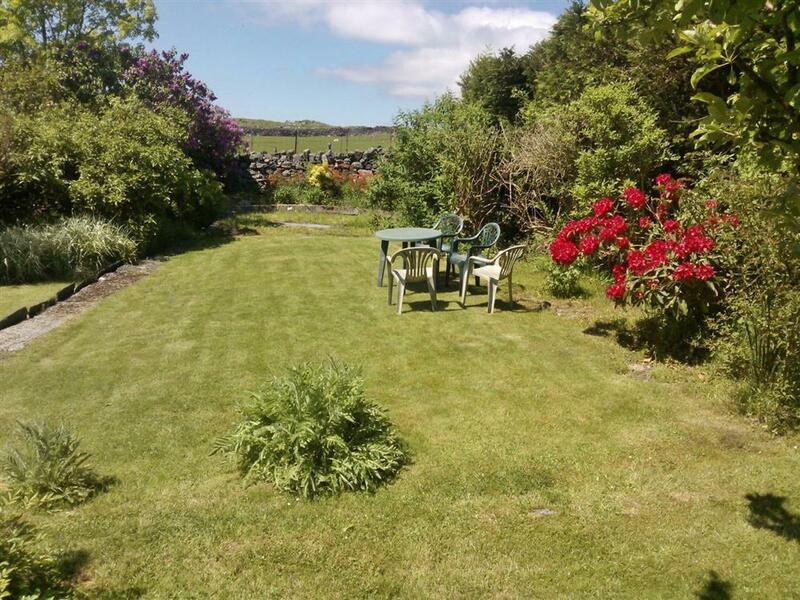 GARDEN: Large enclosed garden and patio to rear with garden furniture and views of Trawsfynydd lake and mountains. PARKING: At the front of the property. ELECTRICITY: Paid for by meter. £10 of electricity included. PETS: 2 small pets or 1 large. Mini-break rules for this cottage: You can book mini-breaks for this cottage throughout the year with no constrictions. S Family (Aug, 2017): "Lovely stay. Enjoyed some lovely views and beaches. Enjoyed sitting by the lake with a G&T!" Miss P (July, 2017): "Lovely cosy cottage. Home from home, great views. Lovely warm welcome." Mr W (July, 2017): "Thank you for a fabulous stay and hospitality." Mrs W (June, 2017): "Lovely holiday and cottage. Will come again." Ms H (May 2017): "Cottage lovely. Quiet and quaint. Had such a great time. Weather wonderful. Thank you." Mr & Mrs K (May 2017): "Had a wonderful holiday on our 20th anniversary of coming to Trawsfynydd"
W Family (May 2017): "Great trek to Snowdon and lots of great beaches. Short but sweet stay. Thank you"
Mr & Mrs W (Sept 2016): "Lovely holiday cottage. Will come again"
Mrs C (Sept 2016: "Lovely holiday, great weather. Beautiful countryside. 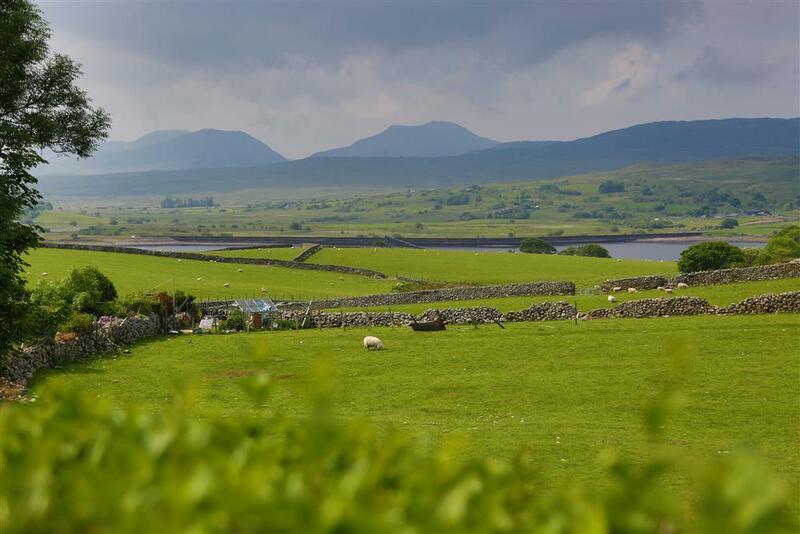 Thank you"
G J (Dec, 2014): "I thoroughly enjoyed my stay in Trawsfynydd. The cottage is very picturesque likened to the preverbal biscuit box cottage. The village was very friendly and has several shops that fulfil all your shopping needs. 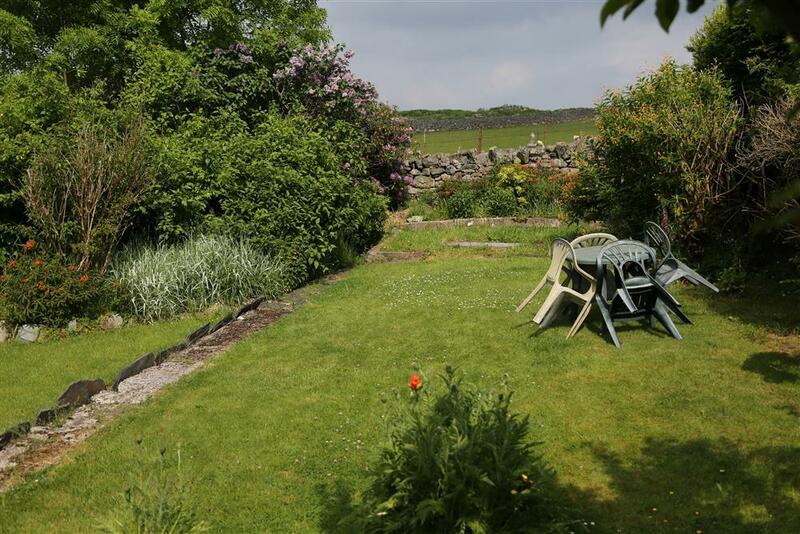 The selling point for 5060 has to be the view from the back garden over the lake which you are afforded fabulous evening sunset views over the hills. I would strongly recommend a visit to the village and stay in the quaint cottage." 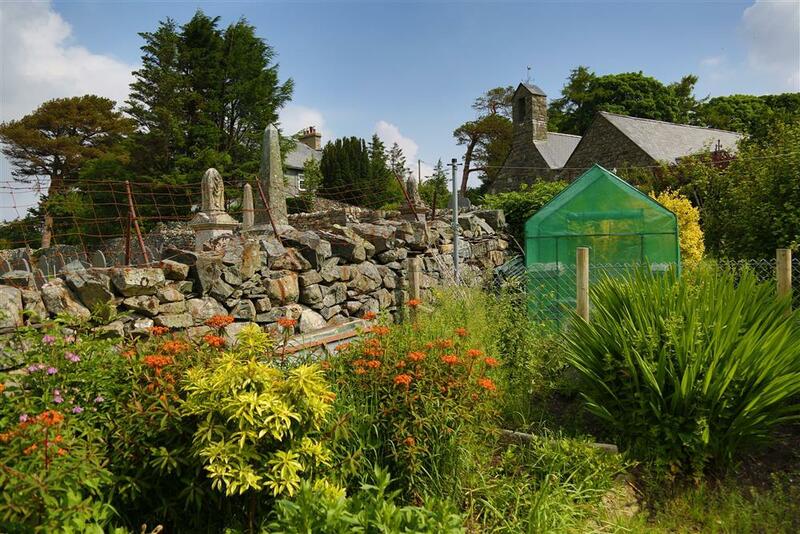 "A 17th century terraced property located in the small village of Trawsfynydd. Large rear garden with views of the lake, parking in the car park at the front. Guests usually met on arrival. Cosy lounge with comfortable suite and new quality fitted carpet." The property is close to the parking area but there are two steps on the path leading to the front door and one shallow step in the hall. There is a step by the back door and two to the patio area and garden. The two bedrooms are on the first floor but the toilet/shower is on the ground floor. The stairs are traditional to a period cottage with narrower treads in comparison to modern properties.